A well-thought-out and planned party theme will instantly set the tone for a birthday celebration. For our 31st birthday, we wanted to celebrate in style and plan a party that was just as memorable as our 30th. 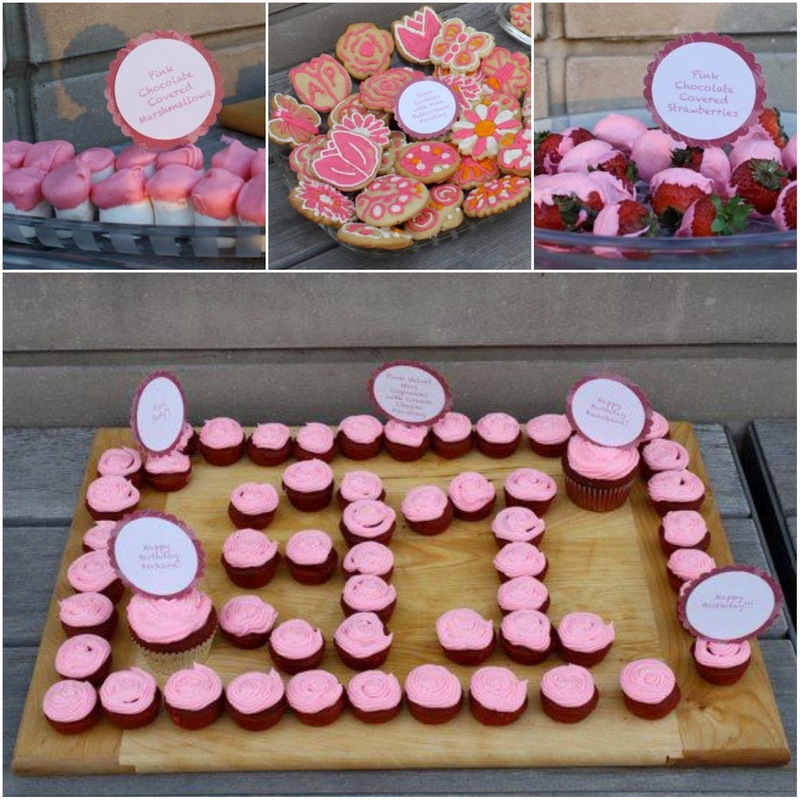 Guests loved the theme the prior year and we thought it would be fun to color everything pink this year. Pink parties aren’t just for little girls and their princess parties! We hosted a casual barbecue on a beautiful rooftop in New York City. We had a lot of fun composing the menu with lots of colorful fruits and vegetables. 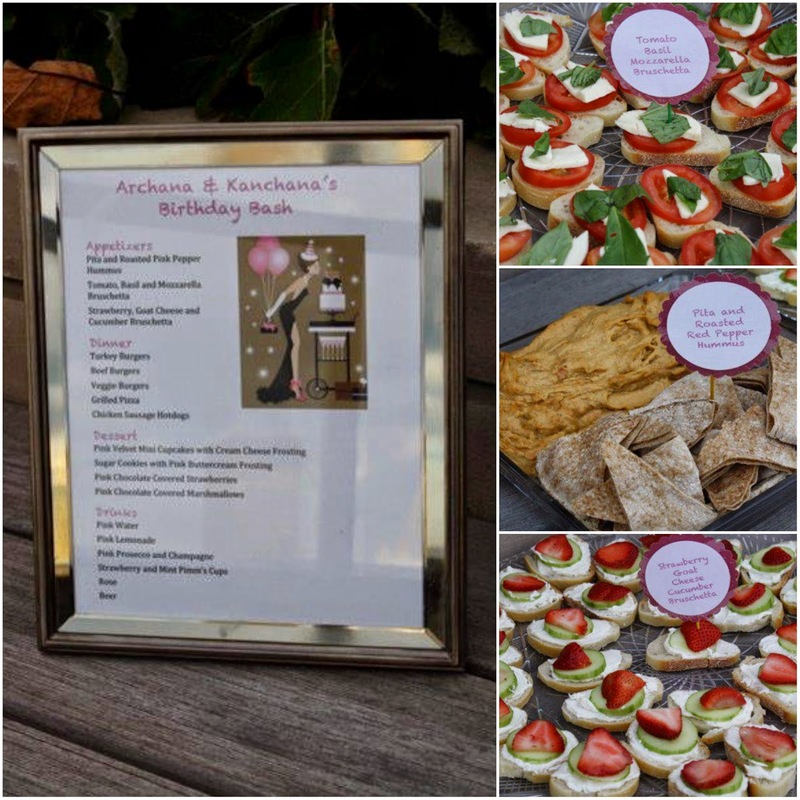 This year Archana wanted showcase her cooking and baking abilities and she made all of the appetizers and desserts. We used Uchida’s scallop and circle stampers and pink cardstock to create our pretty in pink food labels. The pink appetizers included tomato, basil and mozzarella bruschetta; strawberry, cucumber and goat cheese bruschetta; and pita with roasted pink pepper hummus. For dinner, we grilled burgers, hot dogs and pizza. Red velvet cupcakes are always a crowd pleaser. We thought it would be fun to make mini pink velvet cupcakes with pink cream cheese frosting. Shaping the cupcakes into numbers instantly makes them more interesting on the dessert table. We also created delicious sugar cookies in the shapes of tulips, daisies, roses, butterflies and ladybugs and decorated them with pink, white and orange royal icing. Pink chocolate colored marshmallows and strawberries completed our dessert spread. We recommend bite sized desserts for adult parties. You want your desserts to look good on the dessert bar AND be eaten. Plus, all you need is a little bit of sugar! This year’s specialty cocktail was a refreshing strawberry and mint Pimm’s cup. 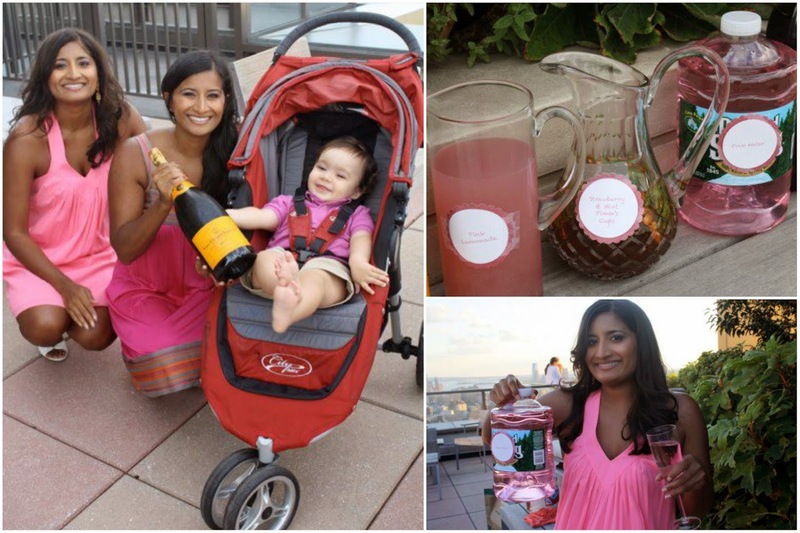 Guests also sipped on pink champagne, rosé, pink lemonade and pink water. Our good friend, Karl, even found us raspberry beer. We ended the night with our annual group photo. Doesn’t everyone look great in pink? Unfortunately, the Empire State Building didn’t get the pink memo. Next Post Eat, Drink and Be Green!